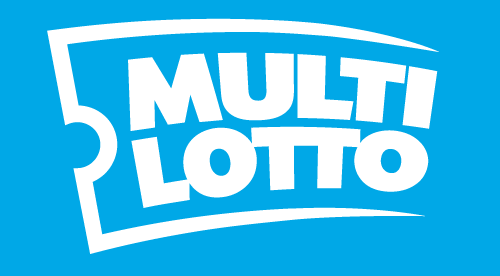 The name MultiLotto implies, well, a lottery-based website. And that’s exactly what MultiLotto was when it launched in 2012, a site devoted to offering users access to the most exciting lotteries from around the world. In the years since that narrowly calibrated start, however, MultiLotto has widened focus. The once lotto site now includes additional iGaming products, including a truly excellent online casino offering. While lottery gaming is still the primary focus at MultiLotto, the company’s transition to an all-encompassing hub for online gambling is well under way. The site now features a well-curated and current gaming news section. And the online casino offered by MultiLotto blends seamlessly with the site’s design and functionality, providing players with a crisp and undeniably fun iGaming experience that more than merits the attention of punters, even those with no interest in lottery gaming. Like the vast majority of modern online casinos, MultiLotto’s offering takes advantage of the ever-expanding marketplace for games by utilizing products from a wide swath of different software developers. As a result, players able to enjoy games from the industry’s more established game makers such as Microgaming and Play'n Go as well as talented up-and-coming outfits like Yggdrasil. This blending of approaches provides a greater diversity of games, while the casino is able to pick and choose the most entertaining and well-polished products from a bevy of companies because they are not tied to a single producer. The benefits of this system for both the casino and its customers are readily apparent, making it no surprise that MultiLotto chose this approach. The casino itself is designed for instant access, meaning that players can navigate to the casino site from any compatible browser, log in, and be playing their favorite games in seconds. This means users do not need to take up hardware space on their devices by downloading dedicated casino software, and also makes it easier for players to enjoy MultiLotto casino on a variety of devices. In terms of playing on smartphones or tablet devices, the process is nearly the same as on a desktop or laptop computer, as the casino site has been optimized to run smoothly within mobile browsers, once again allowing players to avoid having to download anything. MultiLotto truly goes above and beyond the call of duty when it comes to educating their players. The company has created a Casino Guide section of their site that helpfully explains the basic premise behind some of the most common casino options like blackjack and slot games. This guide provides a wealth of information for the casino neophyte delivered in a way that is easy to read and digest. Where the casino truly takes things to the next level, however, is the feature they refer to as their Casino School. It is here that MultiLotto digs deep into the finer points of slot games and the various ways users can wager on them. This section takes screenshots of an example slot game at various stages. It then affixes numbered labels to various points of interest, with explanations for each number written below. This step-by-step guide is hugely informative, to the point that longtime online casino players may even find learn something new from it. Beyond those guides, the design and functionality make using the site a breeze. A rotating header showcases new and popular game offerings, while clickable headers in the middle of the page make it easy to go from one game genre to another. The casino also features a top-notch search function, allowing users to find specific games in a snap so they can start enjoying right away. It would be easy for one to assume that the casino product at a site that focuses on a completely different form of gaming would be limited in size and game selection, but anyone thinking that way about MultiLotto would be very, very wrong. The casino offering at MultiLotto is anything but an afterthought. The design quality, game functionality, and roster of available products prove. All told, nearly 300 different games can be found at the casino. Slot games understandably take up the largest portion of the games on offer, with over 250 such games available. For those looking for a big payday, MultiLotto has gone so far as to give jackpot slots games their own section of the site. Slots are not the only things that can be played at MultiLotto, however. Nearly 25 games fall under table games and video poker. These include multiple versions of classics such as baccarat and roulette. Finally, a selection of fun and unique creations simply labeled “Other” can be found at the casino, showcasing fun and emerging iGaming concepts. The only thing MultiLotto lacks in comparison to more traditional online casinos is a live casino section. MultiLotto offers players a wide range of bonuses, including deposit bonuses. Additionally, the site frequently gives away free spins to their customers, and prides itself on automatically applying any relevant bonuses directly to player accounts for them instead of making users jump through hoops to get their freebies. Additionally, MultiLotto has made it a point to offer some of the lowest wagering requirements around on their bonuses (a much welcomed approached to casino bonuses), setting their minimum wagering requirement at just 35 times the total amount as opposed to the more traditional 45 times or 50 times. Players can deposit and withdraw funds using a variety of methods at MultiLotto, including major credit cards from companies like Visa and MasterCard. Electronic funding options such as Zimpler, a leading pay-by-phone option, Entropay, and Skrill can be used as well as Neteller and Trustly. In terms of customer support, MultiLotto’s Casino Guide and Casino School sections are hugely helpful resources, and a FAQ section compliments them nicely. Anything not covered on one of those sections of the website can be addressed via email or the casino’s contact form. MultiLotto excels at offering online lottery play to their customers, so it is no surprise to us that they have produced a similarly excellent casino product. The incredibly user-friendly design gives way to a pleasantly robust selection of games. MultiLotto has more than proven themselves a worthy entry in the online casino industry!